The Haunted Forest Tour, a novel I co-wrote with James A. Moore, is back!!! Sure, it was only gone for a few days, and you probably didn’t notice. 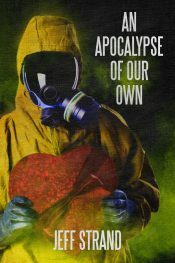 But it’s back, with a lower price ($2.99 for 87,000 words of non-stop gory monster action) and a new cover by Lynne Hansen. My third short story collection will be announced very soon. Well, sort of my third. First there was Gleefully Macabre Tales. Then there was Dead Clown Barbecue. But then I had this short story called “Gave Up The Ghost” that was being made into a movie, and there was no sign that the anthology it was supposed to be published in was ever going to happen. It was too short to sell on its own, so I added a few other tales and called it the Dead Clown Barbecue Expansion Pack. Sold it for 99 cents. Does that count as my third collection? I guess technically it is indeed a short story collection, even if it’s only about a quarter as long as the first two. 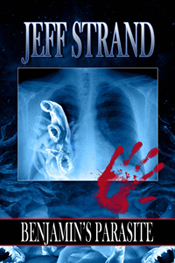 And then Cemetery Dance published Cemetery Dance Select: Jeff Strand. 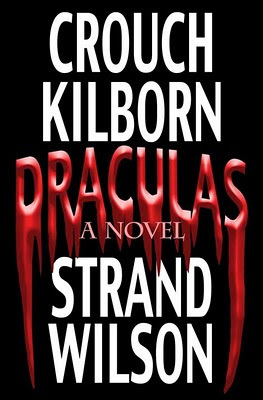 This series of books features numerous authors and is meant to be sort of a sampler. 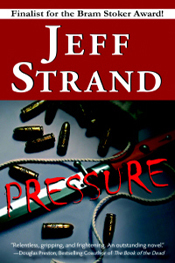 If you see the cover and think, “Who the hell is Jeff Strand?” the contents will answer that question. It contains one story each from Gleefully Macabre Tales, Dead Clown Barbecue, and Dead Clown Barbecue Expansion Pack, plus a story that hadn’t been in any collections, plus a hidden bonus reprint of one of my most popular stories. Anyway…soon I’ll be announcing my next short story collection. This one is a full-length book like Gleefully Macabre Tales and Dead Clown Barbecue. It’s a mix of reprints and brand-new stuff. And the cover is freaky. Beware.